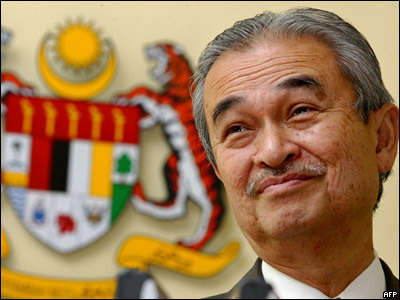 PUTRAJAYA, Feb 13 (Bernama) — Prime Minister Datuk Seri Abdullah Ahmad Badawi today announced the dissolution of Parliament to pave the way for the 12th general election. Was this inconsistency necessary? Don’t sweat the small stuff but still…come on, for someone who promoted transparency and honesty, there was no real need for this to happen. Maybe he’s not in charge of the timing, the man on top is Khairy.